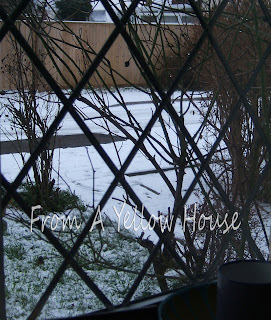 From a Yellow House : We Got Snow!!! We got snow overnight as well. The birds and squirrels are out in the backyard battling over the seeds. But, as with you, it is expected to begin melting tomorrow. Enjoy the snow. And it should be even more enjoyable since you know it will be going away soon. At least it lasted for a bit! It is so pretty to look at. Hope you get more! Funny, we all seem to be gettgin sow at the same time right now. Whoo, girl... we lived in NY/NJ forever and two days, and all it did was snow. I don't miss it a bit. But I'm glad that there are still people out there who appreciate it... it looks purty! I think we're in the middle of 2 1/2 days or rain...I've seen snow on the mountains nearby, but it's been since January last year that there's been any snow in the yard. That's great! It looks gorgeous!! I wish that we would get some that sticks! aahhh, Beautiful snow, I kind of miss snowy New York. Here in Texas we got some freezing rain yesterday, it was gone today and it was 80 on Saturday,. I'm sooo confused! I have no clue what season we are in! I have an award for you. Swing by and pick it up! It´s cold here but we never have snow, which is a pity, because my daughter already asked when could we do the snow man, lol. I love the first photo. Great shot. It is snowing here and very cold. I want to go some place very warm. That must be cool to see the mountains with snow on them :) Stay dry with all that rain you're having. Aww, I wish you could get a bit of out of the ordinary snowfall so your daughter could make her snowman :) You have a great day too. No snow here. Just 70 degree weather and tornadoes. Gotta love the south! Fun snow! 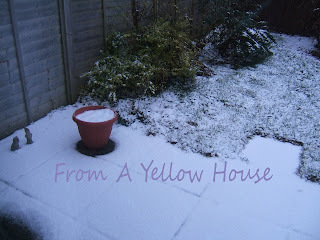 We didn't get a lot of snow at all in England last year. Beautiful photos! Snow is so pretty. It doesn't snow out here in CA. 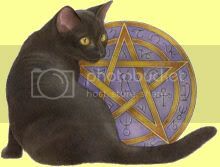 I just recently came across your blog. You have a very nice blog! I'm looking forward to reading more.